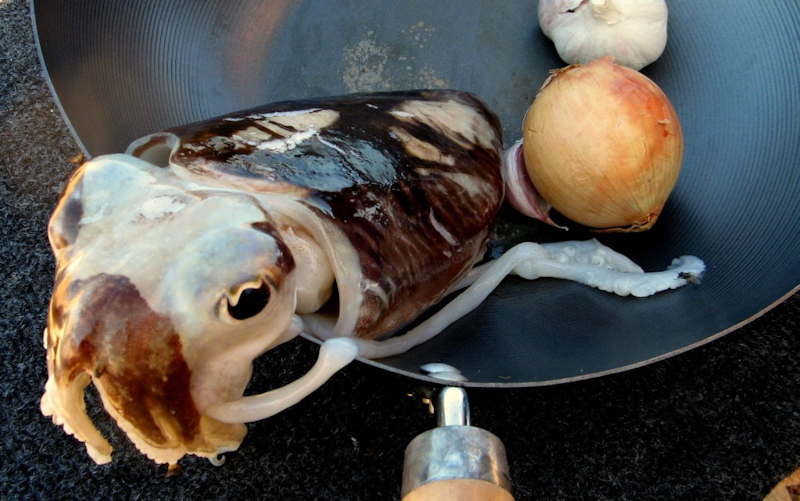 Cooking squid for not a skilled cook is kind of a challenge. Awkward incision makes intensely black ink splatter around. I remove the squid’s float, looking indistinguishably like a part made of plastic. Everything around is stained with ink and definitely does not look like anything edible, not to mention being tasty. 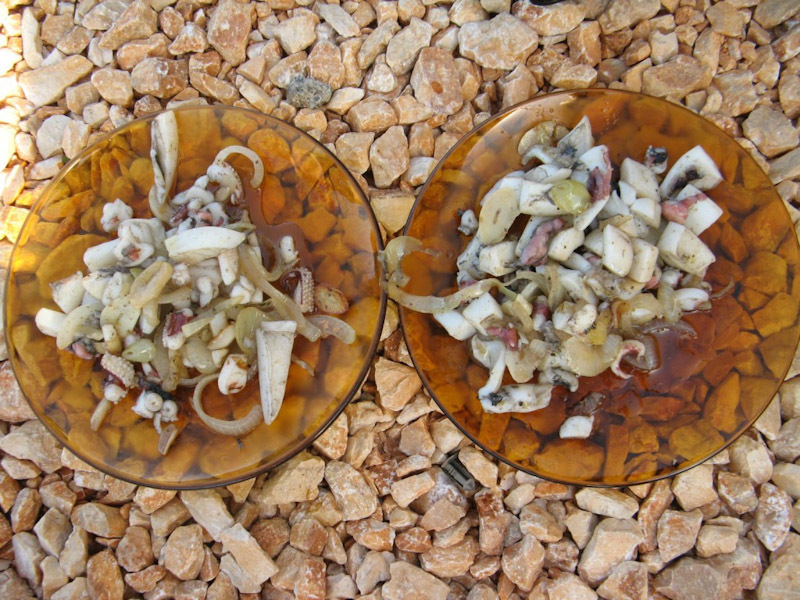 Only after rinsing in the ocean water, the squid’s tentacles take shape of uncooked food. We spice it with garlic and herbs and then fry in a pan with onions. Not for too long so the cut strips do not shrink. Our starter is ready and it dissapears quickly off our plates. The main course we are going to get using our own hands. 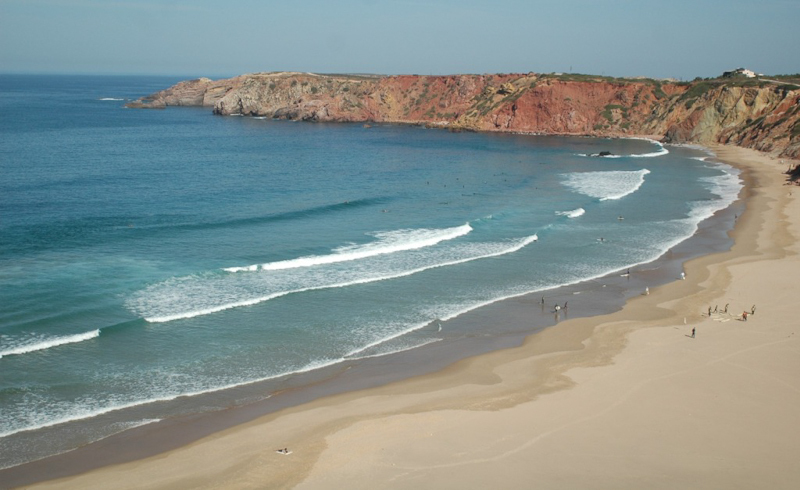 Originally a walk on the Portuguese beach Amado began with an intention to find crabs. We changed our plans after meeting a Portuguese guy wading through deep ponds left by the tide. I see a single mussel, pick it up and ask a stranger, whether there is more mussels here. “There ..!” – I hear the answer in barely understandable language for me. We arrive at the appointed location to see the abundant, innumerable colonies of mussels. A woman from the nearby village accompanying us with harvesting reveals useful advice. "Mussels should be cooked without water and with no salt" – then she continues, "and the ready meal tastes best with a big bottle of Sagres beer". 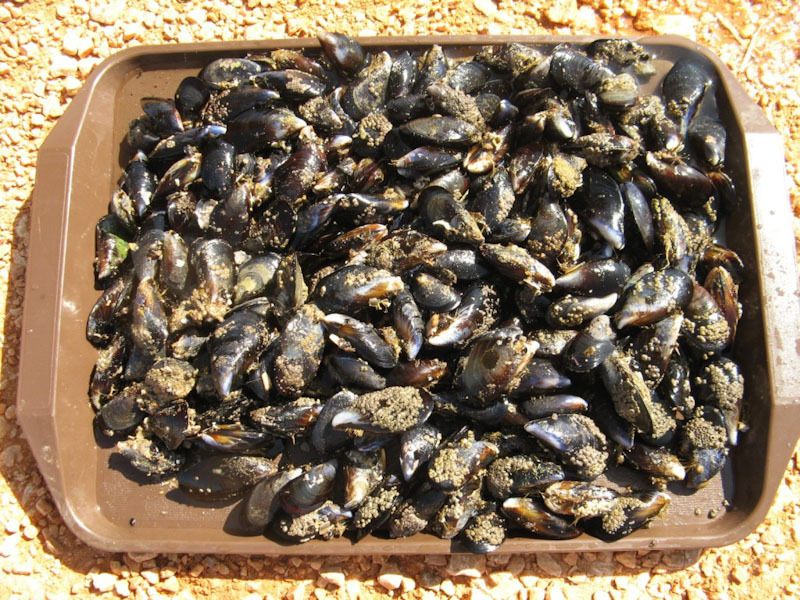 After merely half an hour we have more than two kilograms of mussles. Surely enough for us and our neighbors on the Amado spot. Over several days we improve a lot our harvesting skills. Also the calculations of the exact time of low tide are becoming more accurate. We are trying different ways of preparing mussels. I suggest cooking initially with fine chopped onions, garlic, pepper and herbs, subsequently adding white wine or tomato sauce. (2) one can’t eat mussels to one’s heart content.